Buffalo-NiagaraGardening.com > Garden tips > Grow attractive fruit bushes & even trees– in containers! Grow attractive fruit bushes & even trees– in containers! Blueberry ‘Top Hat’. Photo courtesy of W. Atlee Burpee & Co.
You don’t need a lot of space to grow fruit bushes or even fruit trees. New varieties have been developed to be smaller, more compact and more attractive in the landscape, according to Fred Safford, who is in charge of trees and shrubs at Lockwood’s Greenhouses. ‘Raspberry Shortcake’ raspberry. Photo courtesy Monrovia. Safford will discuss how you can grow your own fruit and berries at home in a class at 1:30 p.m. Sunday, May 19 at Lockwood’s, 4484 Clark Street, Hamburg. He will explain how to grow blueberries, raspberries and goji berries, as well as pear, apple and peach trees. The cost of the class is $10. There will be special one-day pricing on all plants covered in the lecture. You can sign up online. Fruit bushes that have been developed to grow well in containers include blueberries and raspberries. 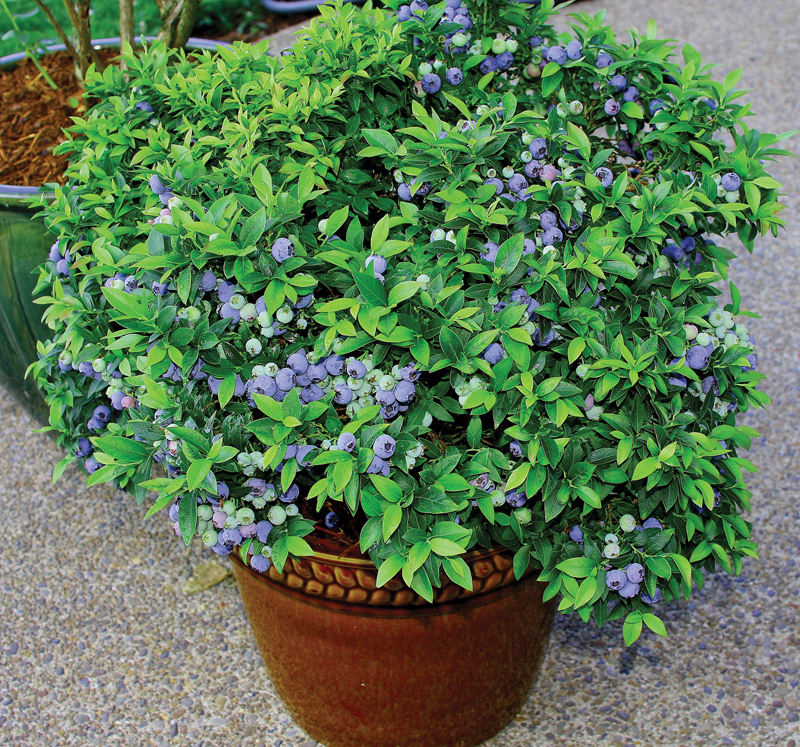 The Top Hat blueberry, seen at the beginning of this article, can be grown in a pot on your patio, he said. It’s self-pollinating, so you don’t need to have two bushes in order to get fruit. In the spring it produces beautiful white blossoms; in fall, the foliage turns a pretty glowing orange. The fruit is ideal for baking. The ‘Raspberry Shortcake’ raspberry plant, seen above left, doesn’t get lanky canes like other raspberry bushes do, Safford said. It is shorter, fuller and denser. 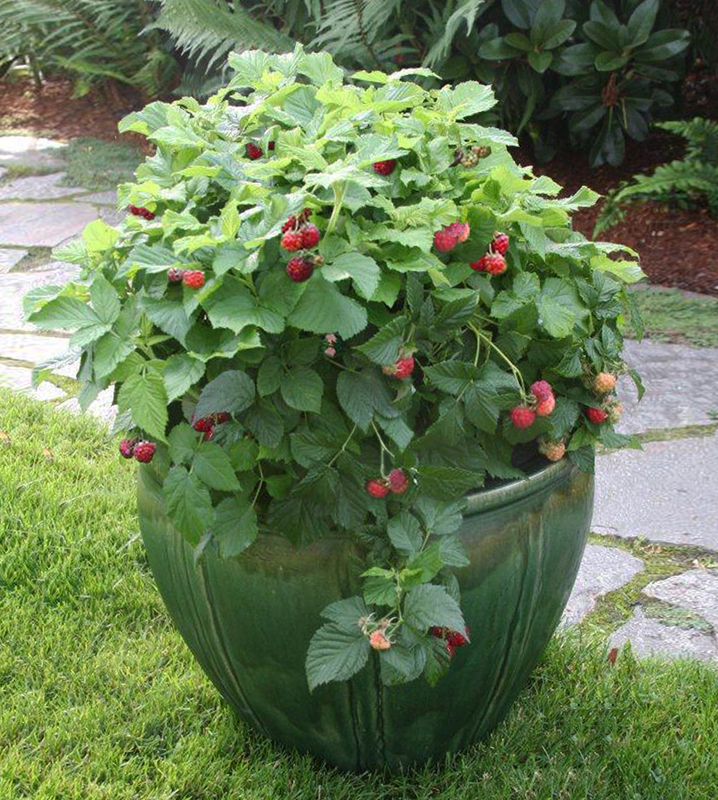 You can grow ‘Raspberry Shortcake’ in a container or you can plant it in your landscape. Even though these are food plants, don’t relegate them to a corner vegetable patch. They’re lovely enough to mix in with your flowers. Another more compact fruit plant is a cherry bush. The fruit is easier to pick than when it’s on a cherry tree, Safford noted. The bush is vase shaped and grows 5 to 6 feet tall and 4 to 5 feet wide. A fruit tree well suited to containers is the columnar apple tree. It doesn’t branch out; it grows straight up. Above right is a columnar apple growing in a pot placed on the driveway of Walter Kozlowski, who also grows a peach tree in a garbage can. We saw his container plantings during the Black Rock & Riverside Tour of Gardens in August 2012. ‘Sweet Lifeberry’ goji berry. Photo courtesy Proven Winners. 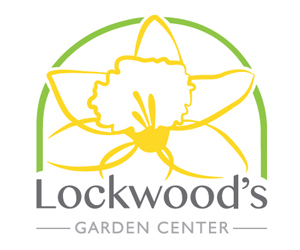 In addition to fruit plants that grow in containers, Lockwood’s also looks for plants that are new, unusual or hard to find, Safford said. One example is the goji berry, which you can see at left. 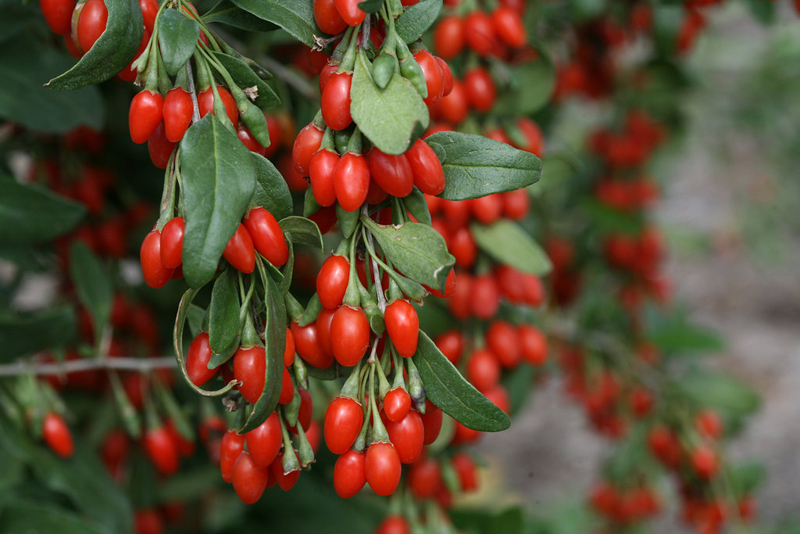 Goji berries grow on a shrub that gets 6 feet tall. ‘Sweet Lifeberry’ is a new variety that is sweeter than the traditional goji berry. Think beyond tomatoes and peppers as you plan your summer garden. New varieties of fruit plants can be attractive in your landscape while providing delicious and nutritious food. I love these short, compact berry bushes. They are great for those of us with city gardens. Will these survive winter in pots? It depends a bit on the plant, most blueberries and raspberries that are bred for this purpose should be fine. It still wold be best tokeep them in a protcted spot, close to the home, or even better in a garage. trees such as the apple, which have a graft, might be best protected from rapid changes in tempature in the winter, by straw or leaves, held in by burlap, or in a shed, garge, cool basement. Barbara, I’m sorry, but I don’t know. This magazine is for Western New York. Contact the cooperative extension office in your area to find out what will work there. I hope that helps! I’m crazy about growing berry bushes, my problem is I live in Phoenix. Is there any way they will grow in the Southwest? Missing New England. Tessa, I’m sorry, but this magazine is for Western New York state. I don’t what grows in Phoenix. 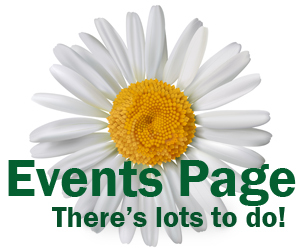 Look for gardening resources in your area. Arizona has a Cooperative Extension service. I hope that helps! I was wondering if you knew of a grape vine and a blackberry vine that does well in a pot? I would like to start them in 5 gallon pots and train them on a trellis until we move back home in about a year. is this possible? Any variety of grapes and blackberries should survive the winter in a pot. Just keep them in a basement, detached garage, shed or something like that.